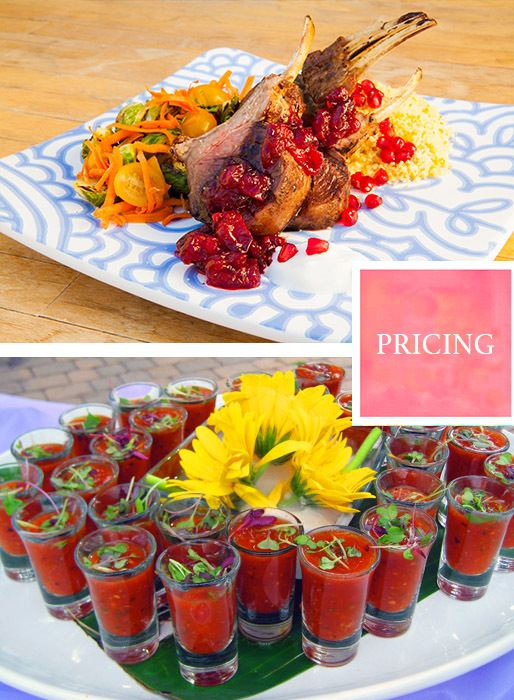 We are flexible and creative in designing personalized menu proposals to fit your event budget. Each staff member costs $177 per staff member for an 8 hour event (including set up & clean up). If staff is needed longer each additional hour will cost $25 per hour per staff member.